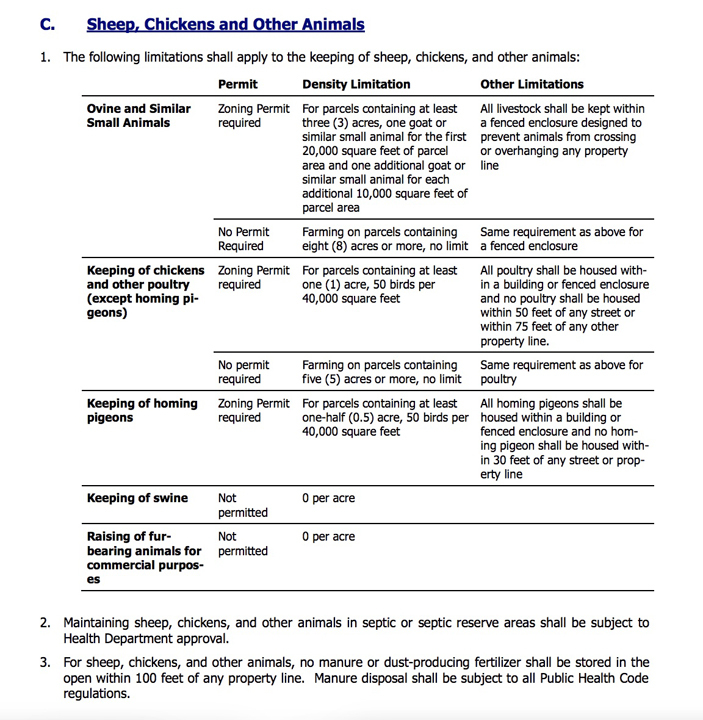 According to the legal notice for the Planning & Zoning Commission’s upcoming meeting on April 23rd, 2019, Nina Buxenbaum has submitted an application for a text amendment to the Zoning Regulations to allow for chickens to be raised with conditions, in all residential zones. The meeting will take place at 7: 00pm, in Riordan Room D, Bethel Municipal Center, 1 School Street, Bethel, Connecticut, where you can submit your comments. You can also submit written comments before then regarding this issue. 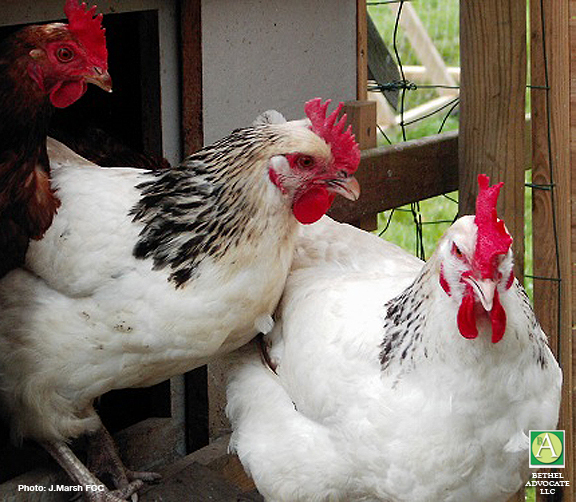 Email Land Use Department – Planning & Zoning, Inland Wetlands at: landuse@bethel-ct.gov . Read full legal notice below. 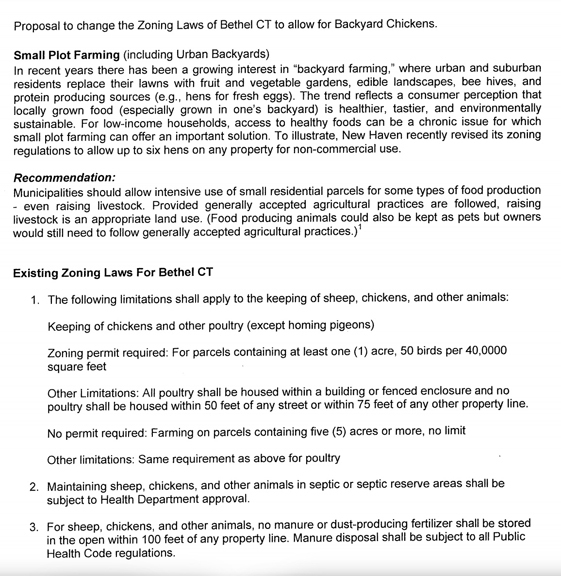 The Bethel Planning & Zoning Commission will hold a public hearing on April 23rd, 2019 at 7: 00pm, in Riordan Room D, Bethel Municipal Center, 1 School Street, Bethel, Connecticut to hear the application of Nina Buxenbaum for a text amendment to the Zoning Regulations to allow for chickens to be raised with conditions in all residential zones with conditions: number allowed per square footage of property, coop requirements, setback requirements, sanitation and permit’s needed. 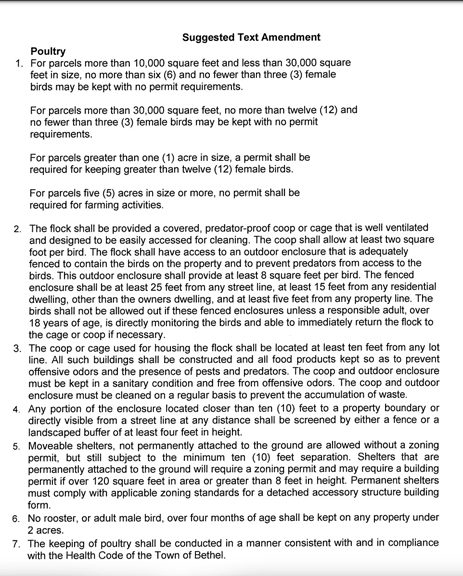 A complete copy of the regulation can be found at www.bethel-ct.gov under Land Use Department and the Town Clerk’ s Office. At this hearing interested persons will be heard and written communications will be received. Dated this 12th day of April at Bethel, Connecticut.